A retro chair that harks back to the stylish 1960’s era of design. Hand-crafted by skilled artisans in the design studios in Milan, the Aida Chair is part of the furniture collection by Rugiano. Upholstered in the finest Tessuto fabric or Pelle leather, choose from a wide variety of sophisticated colours in a smooth or textured finish The contoured back and plush seat is edged in contrasting piping for a touch of luxury. We love the deep grey upholstery with the gold edging. 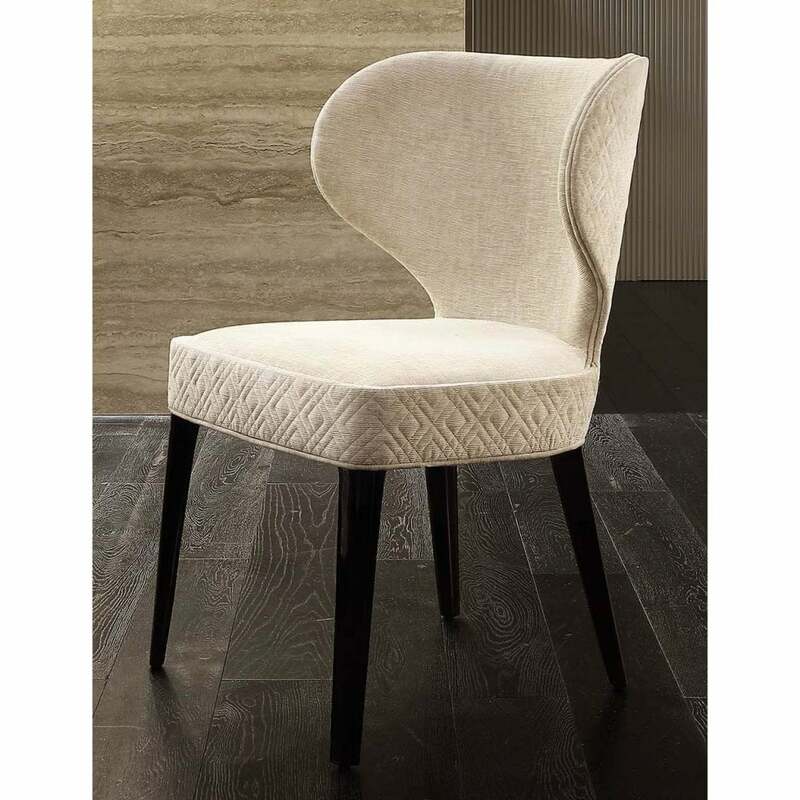 Why not choose a contrasting texture for the back of the chair? The legs can be realised in high-quality wood and lacquer or upholstered in a complementary fabric. Available in two sizes, make an enquiry for more information.